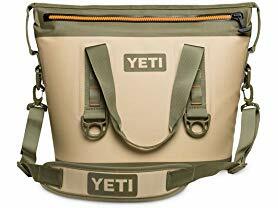 Today, July 12th only, head on over to Woot.com where you can score the YETI Hopper Two 20 Portable Cooler for only $174.99 (Retail $249.99). The YETI Hopper is the first 100% leakproof portable cooler – it can hold up to 16 cans and is engineered to keep ice from melting for days. The DryHide Shell makes it super durable and puncture resistant and the HydroLok Zipper keeps it completely leakproof and waterproof!